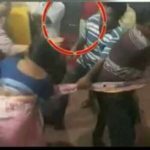 GroundXero, Kolkata: At least one person died and scores were injured in violent clashes in different parts of West Bengal on Monday, the last date of filing nomination papers for the upcoming Panchayat elections. All the opposition parties accused the ruling Trinamool Congress of unleashing a reign of terror to prevent opposition candidates from filing nomination papers. 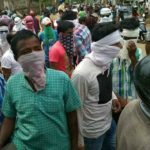 The candidates from Bhangor were, earlier on 6th April, prevented from filing nomination papers, and were beaten up by ruling party goons in front of the police. The leaders and sympathizers of the movement, when they went to file FIR at the the police station, were first detained, and then arrested on false and fabricated non-bailable charges. They are still languishing in jail. Today the candidates of the Save Land, Livelihood and Ecology Committee of Bhangor (henceforth, the Save Land Committee) again went to file their nomination at the BDO and SDO office, only to find that armed ruling party goons and supporters were not letting anyone enter the premises. The members of the Save Land Committee then again moved the High Court today afternoon and informed the court that none of their 11 committee members had been able to file nomination papers till then, as the BDO and SDO offices are under the control of armed TMC goons. Justice Subrata Talukdar upon hearing this asked the State Election Commission officer present in the courtroom to inform him within 10 minutes the real status of the nominations. Nilanjan Sandila, the election commission officer came back within 10 minutes and accepted before the court that only 16 nomination papers had been filed from Polerhat-2 Panchayat, and that all of them were filed earlier from the ruling TMC, and that no fresh nomination papers were filed on Monday till that time. The Judge on hearing this ordered the election commission to ensure that all 11 candidates of the Save Land Committee ought to be allowed to file their nominations. The Judge also directed the commission, if required, to extend the time of filing nomination papers for these candidates. Further he asked the committee members to submit their nomination papers at the Additional District Magistrate office, Alipur. Based on this order from the High Court, the Committee members rushed to the office of the District Magistrate in Alipur, only to be told that the ADM was not in office and that they would have to wait for his arrival. 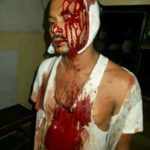 They alleged that at this point, armed members and supporters of the ruling party surrounded them, forcibly dragged them out, mercilessly beat them up, their nomination papers were snatched away and torn up. 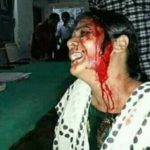 Two women candidates from Bhangor, Chhanoara and Jahanara Bibi, along with Sharmistha Choudhury, one of the leaders of the movement, were whisked away to an unknown place, locked up for one and half hours with their hands tied while being continuously abused and tortured by the goons. Sharmistha’s clothes were torn. The large police contingent present at the DM’s office remained a mute spectator and did nothing to rescue Chhanoara and the others. 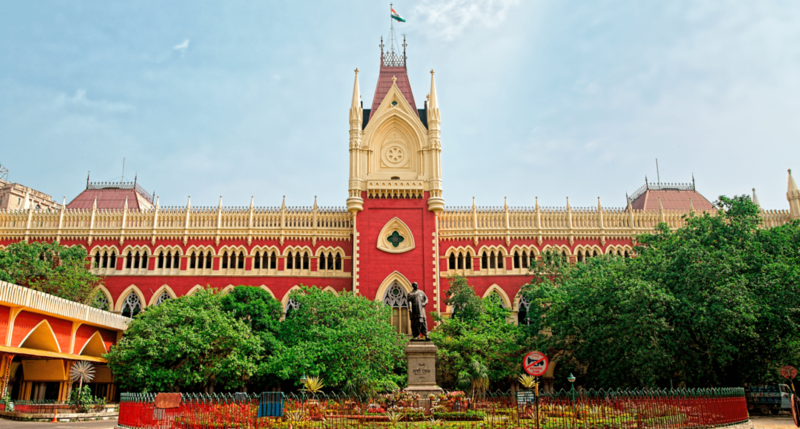 Earlier on 12th April, the entire election process was put on hold by the Calcutta High Court when the Save Land Committee, spearheading the peasants’ uprising against forcible land acquisition for a power sub-station in Bhangor, went to the court accusing the ruling TMC of forcibly stopping their candidates from filing nomination papers. Other opposition parties too filed separate complaints in the court, which were all clubbed together for hearing. 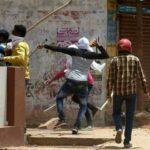 Sharmistha Choudhury led the argument in the High Court, and on 20th April the Court directed the State Election Commission to declare fresh dates for candidates who were unable to file nomination paper earlier due to widespread violence unleashed by the ruling party. After their release by the TMC goons, Sharmistha Choudhury and the other members of the Save Land Committee went to the Alipur police station and filed an FIR, despite initial police reluctance to registering their complaint. Sharmistha told groundxero over telephone that the TMC government and its administration are making a mockery of the High Court orders, and that they will report the entire incident to the High Court on Tuesday.